Another summer, another incredible series of jazz concerts in Millennium Park. This year's series starts tomorrow, July 24th, and spans six concerts that will bring an incredible variety of free programming to Chicago residents and tourists. From an Iraqi maqam-jazz hybrid concert featuring Chicago native Amir ElSaffar to a tribute to Sun Ra from Phil Cohran, this summer's programming promises a diverse and high level of music in every instance. 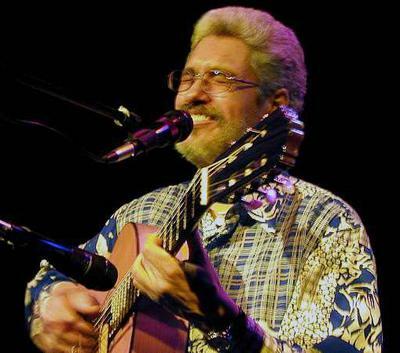 Tomorrow's show is a celebration of the 50th Anniversary of Bossa Nova, featuring local Brazilian jazz musician Paulinho Garcia. For the occasion, Garcia has assembled the first incarnation of his Orquestra Brazzilli, and in addition to the local artists, there will be a very special guest appearance by Brazilian pianist and composer João Donato and his trio. In addition, he will be joined by accordion virtuoso Julien Labro, singer Grazyna Auguscik, and a fantastic group of musicians including Greg Fishman, Jim Gailloreto and The Hawk String Quartet. To view the whole schedule and check out samples from each of the musicians, check out the great promotional e-card for the series. All shows are free and open to the public, and begin at 6:30 PM in the Jay Pritzker Pavilion of Millennium Park.